There will be 5 talks in total per day, plus a closing summary from the MC. 1st Conference takes inspiration from the Heart of Agile construct of “Collaborate, Deliver, Reflect, Improve”. How can we be successful, if our colleagues are distributed across locations, continents and timezones? Working remotely can be a win-win for everyone when companies have a plan for supporting efficiency and fostering streamlined, engaging teamwork, and when individuals are prepared to collaborate productively. Lisette will use her experience with companies who work successfully in such circumstances and her knowledge of agile principles to help us find a way. In this talk, we’ll explore how digital nomads, virtual entrepreneurs, and global organizations are reaching through the screens to collaborate seamlessly at a distance. You will walk away with new ideas for what it means to be present at work and how to create that sense of camaraderie even when you’re virtual. Lisette Sutherland is an author, podcast host and speaker, who runs the website Collaboration Superpowers. She is the author of the book Work Together Anywhere, and is a leading international expert on working with distributed teams and with remote colleagues. Lisette will be with us (physically in the room!) in Melbourne, all the way from Delft in The Netherlands. In business, we talk at length about “innovation”. We’ve heard about Australia needing to become an “agile country”, however when it comes to actually delivering, how do we do this? Douglas English’s background as a co-founder of an Australian startup, that has done just that, will give you a clear insight in ways that you can enable the conditions for talk to turn into action! Doug is the CTO and co-Founder of Culture Amp, a Melbourne based company whose product is a platform that powers culture-focused companies. They believe in building a new type of company—a company that truly puts culture first. How can the concepts around Agility, and the legal frameworks necessary for business, work together? Can Agile methodologies be appropriately reflected in a contract? If so, what Agile-specific rights, obligations and protections should be included? These are questions that Paul Kallenbach and Michael Paphazy have great experience in addressing when dealing with their clients and colleagues, across a broad range of sectors. They will be giving you the benefit of their experience to help you identify and negotiate key issues that can arise when contracting for Agile services. Paul is a partner at leading law firm MinterEllison. He practices in technology and intellectual property, with a particular focus on technology contracting, cyber security, telecommunications, privacy and data protection, technology licensing and commercialisation, and internet and ecommerce law. His clients include Australian and international icon names in the financial services, telecommunications, government, retail, mining and resources, ecommerce and consultancy sectors. Michael, a Senior Corporate Counsel at SingTel Optus, will co-present with Paul. Michael is an IT lawyer who has worked at Singtel Optus for several years. He will share his thoughts and experience on contracting for Agile from a customer perspective. 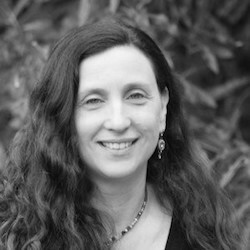 Reflecting on 7 years of experience in the Israeli army, Vered will share stories and insights about how the army REALLY operates. The army is not as ‘Command & Control’ as people commonly expects – it is much more empowering and agile than you’d think. At the army, she learnt the true meaning of cross functional teams, the importance of reflection, feedback, creative problem solving, trust, teamwork, conflict resolution, resilience & responding to change. This talk will be intertwined with army (and civilian) war stories & tips for leaders in an agile world. It aims to inspire a new wave of Agile Leaders, through sharing examples of effective leadership, it draws on real, lived experiences and concepts, directly from the ‘horse mouth’, as well as useful takeaways that you can take back and apply to in your work. Vered is a true feminist experienced in pushing through in male dominated spaces like the military and technology. She has 7 years military background and experience, achieving the rank of Major. In Technology, she has 20+ years of experience in planning, developing, and implementing cutting edge Information Solutions. During that time, she has enabled high performing, innovative cultures, teams and portfolios. Andy will be introducing speakers in the main Auditorium. He was a speaker at 1st Conference in 2016, and at several editions of LAST Conference in Melbourne, as well as organising the inaugural LAST Conference Sydney. He is the Chief Technology Officer at Marketplacer – a global provider of marketplace platforms. With a background in digital businesses, Andy combines strong technology knowledge with commercial understanding. Andy has previously worked for News Corp, REA Group, iProperty Group and Australia Post leading product and technology development. He works in Agile environments and is passionate about developing and mentoring teams to build great products. There will be 5 talks in total, per day, plus a closing summary from the MC. Jordana Patterson will share her experience over the last two years of introducing and embedding Agile in the Marketing Department at World Vision, Australia’s largest international aid organisation. She’ll provide insights into how her team has broken new ground in adapting Agile principles and tools for a not-for-profit environment, where the business goal is transformation in the lives of the world’s most vulnerable children. She’ll also delve into the unique challenges of applying Agile in the Marketing space and across a department comprising a broad sweep of functional disciplines, from Product, Brand, Creative and Social through to Campaign Management, Marketing Automation and Data & Analytics. You’ll hear what Jordana has learned along the way – evolving from the chaos of competing priorities, resource bottlenecks, and everyone starting everything but completing very little, to a place where continual improvements to shared working rhythms and rituals are starting to deliver real results. Jordana Patterson has championed the adoption of Agile principles and mindsets in World Vision Australia’s Marketing Department over the last two years. Relatively new to Agile, she is continually learning new ways to help creative teams deliver better work and is passionate about helping teams discover better ways of working together. As Marketing Planning Manager, Jordana has a broad and challenging remit. Her role is part process design, part operations, part budget management, part portfolio management and part team coach! In addition to being ‘all things Agile’ at World Vision, she can often be found chasing two mini monsters around the house, baking up a storm or barracking for her beloved St Kilda football club. She has worked at World Vision Australia for seven years. Facing the challenge of introducing and enabling agility and innovation within a profession that has had little change in the last century, Lani navigated through tradition, hierarchy and ego by facilitating an abundance of creative and interactive workshops, events, hackathons and experiments that have inspired and aided individuals and teams to think differently, collaborate, achieve consensus and demonstrate results. In this talk she will share some insights and practical steps on how you can cut through complexity and pioneer change that adds value in your context. Lani Beer has facilitated, coached and mentored executives, leaders and teams to embrace Agile and Lean principles and mindsets in Australia and the UK. She is now working as an Innovator at King & Wood Mallesons shaping the law firm of the future by embracing technology, experimentation and innovative practices that create a positive impact for the firm’s workforce and clients. In 2017, ANZ’s Chief Executive launched their “New Ways of Working” initiative, that is based upon the principles of agility…billing it as ”the new workplace currency”. In order to realise the potential of working with agility, an organisation needs to enable their current employees, as well as recruit the right people to join them. In this talk, Sarah and Susana will show how ANZ has been doing this over the past 18 months. Sarah Traynor joined ANZ as an HR graduate in 2006. Her experiences include over 3 years in India with ANZ’s Bengaluru hub, and working with a number of different leaders in Australia. This work involves helping them develop themselves and their leadership, shape strategy, build capability and engagement, tackle complex problems and drive change. In 2017, Sarah moved to playing a key role in the ‘People, Skills and Talent’ stream for the Australia Division’s ‘New Ways of Working’ (NWOW) transformation – the first of its kind in the organisation. This transformation aims to increase organisational agility, create a more engaging and thriving place to work, and accelerate ANZ’s ability to deliver customer value at pace. She is currently Culture Development Lead for NWOW. Susana Angelevski is a HR Professional who joined ANZ 16 years ago, working in the Organisational Development role. She developed and delivered a group wide 360 degree feedback solution and many cultural initiatives. Much of her career has been supporting a range of ANZ General Managers and their respective leadership teams. More recently, Susana has been heavily involved in the ANZ ‘New Ways of Working’ (NWOW) transformation. During this time Susana has held a number of roles including being the Transformation Lead (Technology). Specifically, she has been heavily involved in re-designing and delivering a human-centered approach – ensuring leaders are empowered and supported to make the right decisions and individuals feel respected, empowered and supported to adopt agile practices at scale and collectively drive the desired culture and deliver customer value with speed. "...although there are plenty of STEM graduates, employers say they do not always have the skills needed.” - David Docherty, The Guardian (2014). Universities are unable to keep up with the pace of change in the industry - focusing on computer science and programming fundamentals, and joining the late majority when introducing newer ways of working and best practices into their curriculum. What are we doing to change this? At ThoughtWorks, we firmly believe that developing a culture of agility starts with creating a community-based learning experience as early as possible. LevelUp is a 6-weeks accelerated learning program, teaching university students how agile teams develop software. We would like to share our journey with the hope that other organizations will be similarly inspired to start building the bridge to universities thus ensuring our future graduates will be well prepared and aligned to industry expectations of working in an agile way. You will hear Nimisha and Ada’s thoughts on how to collaborate, deliver, retrospect and improve while working as a team. Nimisha is a developer at ThoughtWorks Australia. With the experience of more than 7 years in the consulting industry, she has experience working in multiple domains such as banking, insurance, telecommunications and has a keen interest in providing technology solutions for the betterment of society. She is also an organizer of LevelUp program held at ThoughtWorks. Ada is a business analyst at ThoughtWorks. A graduate from the RMIT Business Information Systems degree, Ada took part in the Industry Based Learning pathway offered as part of that degree, and was also a LevelUp alumni. Enterprise software is built by product companies. These products are purchased by procurement groups under guidance from architects. The same products are then localised, configured, customised, tested, deployed and maintained by delivery teams. These three disparate groups never work in the same way: come listen to what happens when non-agile product companies build software that is purchased by non-agile procurement groups and then given to agile delivery teams to own. Originally an itinerant teacher of programming at university, Andy has been writing code professionally since 1996 in Melbourne, Brisbane, San Francisco, Leeds and Singapore. Joining ThoughtWorks as a technical lead in 2002, Andy has deep experience in agile development and has, since 2013, become one of those dreary functional programming evangelists you dread speaking to at parties. Andy is a regular speaker at conferences in Australia and user groups in Melbourne, even though he does not understand monads… not even a little bit. Pam is a Colombian working as a lead software developer at ThoughtWorks. She has been involved in web development for most of her career, and has enjoyed the incredible evolution the industry has gone through. Pam loves solving problems with or without technology, specially if they involve working really close with users, or distributed systems and asynchronicity. Pam believes in transparency and collaboration as the key components of a successful project and going back to the very basics when dealing with the ever-changing tech landscape. Alex will be introducing speakers and facilitating the Q&A, in the main Auditorium. She has spoken at LAST Conference in 2014 and 2015. 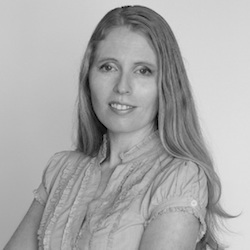 She has spent many years in the industry specialising in Agile and Lean approaches. Now she finds pleasure in coaching, teaching, and helping companies improve their teams, uplifting skills, behaviour, structures and how their work works. 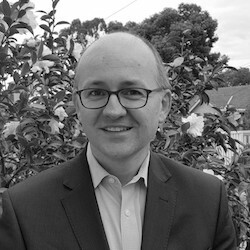 Alex has been a leader and champion for three major transformations; Head of Digital Engineering at Australia Post, Head of Application Development and Maintenance at AIA Australia and as Head of Solutions Delivery at TAL Direct. Prior to leading IT transformations ‘in the wild’ she was a consultant at ThoughtWorks and Keane Ltd, an early comer to Agile practices in the 90’s she has helped many organisations overcome challenges and achieve lasting change in their culture, increasing engagement, retention and productivity. Today, she runs Reboot Co and is the host of their podcast. There will be 2 x 90 minute workshop sessions per day, with a choice of 5 sessions per slot. Most sessions will be repeated on day 2 (unless noted below), in order to give you the chance to go to a session you may have missed. More sessions will be announced very soon! Note - this session is only running on Thursday 28 February. Almost every problem we hear about with teams has this underlying barrier of trust. Sometimes the trust has been broken and it is so difficult to build again, and in other cases it doesn’t exist and there is no clear path as to how to create it. Yet trust is crucial, as it helps to break down silos, drives collaboration, encourages entrepreneurial thinking and makes teams more resilient to change. We want to help spread some ideas of how teams can go about creating and building trust. This workshop will provide techniques and tips to help you create and foster a trusting environment. These are ideas that anyone can use with their team or with people they work with. They can also be used with clients and customers. How to notice when there is trust and when there isn't. Recognise why trust is so important. Learn from our examples of where we have seen teams building trust. Sam and Tracey are Agile coaches. They have a passion for helping teams, individuals and drinking good wine. With over 20 years combined experience in agile, these two ladies inject fun, laughter and joy into all sessions! Note - this session is only running on Friday 1 March. Seeking to work with increased agility, requires aligning many different people with different perspectives. How do we reflect on these multiple perspectives (e.g. people with differing levels of agile understanding), create a shared understanding and use it to improve the way we implement change in an organisation? How to create space for inquiry, exploration and sense-making. Cass has two decades of international consulting experience and in 2012 founded ENTHEOS Consulting, a Systems based organisational development consultancy. Cass is passionate about partnering to cultivate more effective, sustainable and inspiring workplaces. She has worked in multiple industries and geographies across Europe, Asia and South America. Cass has channelled her passion into developing ENTHEOS Collaborative Systems Thinking®̀ an approach to build shared understanding of the dynamics of complex organisational systems and take collective action. She is a Melbourne University Honorary Fellow collaborating with the University’s Centre for Positive Psychology to develop the emerging field of “Systems Informed Positive Psychology” or “Systems of Wellbeing”. Pete is a Principal Consultant at DiUS Computing, where he leads agile software teams in helping to build products for a broad range of clients. This usually involves introducing new ways of working to organisations, and an opportunity to ‘teach by doing’ through the course of product delivery. He co-founded Flying Robot School, a non-profit with the mission of inspiring kids to study STEM by teaching them to problem solve by using drones. Reflecting the diverse nature of his work, Pete has shared his experiences at several conferences about topics including the business model canvas, product ownership, chaos engineering and community based innovation. Do you work in a hierarchical organisation? Many agile practitioners believe that agility is incompatible with hierarchy. Many managers believe that hierarchy is indispensable. The Requisite Agility initiative is committed to reconciling these differences, and has developed a model for integrating Agile methods into hierarchical organisations; including explanations of when hierarchical management is counter-productive. This workshop aims to bring participants up to speed with the very latest from Requisite Agility, and to work through practical issues encountered in their organisations. Nick has broad range of experiences from within and outside the IT department. This gives his the ability capacity to build the conditions for agility in all parts of an organisation. His skills encompass being able to solve difficult technical problems with a persistent focus, while reconciling conflicting points of view. The purpose of the workshop is to help participants put some structure around the thinking and to help develop a roadmap for maturing collaboration at their workplace. It’s a guided walkthrough about collaboration; what it is, why it is valuable and what areas you should focus on to improve your collaboration capabilities. Information about what works that Craig has gathered from hundreds of people across Australia will be shared, as well as the views of those in the room being gathered and added to his growing dataset. Managers, coaches, leaders, aspiring leaders will come away with an increased awareness of what collaboration is and how it can be matured to a higher level of performance. Craig’s roles over the past 15 years have involved leading project management teams, projects and programs, consulting, training and coaching in a variety of aspects of project delivery. Most recently Craig was Vice President of Collaboration at Aconex. He’s now the Founder and CEO of Everest Engineering. Heart of Agile values the approach of Theory Y managers. These are leaders who believe that people are motivated by work, and the rewards that flow from doing a good job. A Theory Y manager is one who encourages folks to do a good job, provides them with the right resources, and then gets out of the way to let them succeed (or fail). They give them challenge, allow people to make their own decisions and support them to learn new things. This workshop provides Leaders, Scrum Masters, or anyone seeking to coach, mentor and grow others to practice Theory Y manager approaches. Expect to reflect on your own style, challenge your thinking and join in the fun interactive exercises. Katrina is a Dynamic Enterprise Agile Coach, with extensive experience leading new ways of working transformation across the telecommunications, education, utilities and financial services industries. A capability builder – I optimise individual, team and organisational performance. A customer champion – I connect organisations with what customers think, feel and want. A guide, mentor and catalyst – I support people through change, iterating to the new. A listener – I use my reflections to engage leaders and practitioners in developing insight for continuous improvement. A connector – I build trust relationships, driving collaboration and knowledge sharing between teams, tribes and the broader ecosystem. A culture creator – I spark curiosity, model empathy, and move individuals and teams to accountability. Feedback is the lifeline of agility. But feedback is often hard to take and give. To familiarise myself I ran 25 experiments on feedback for a year to learn and grow. As an extension of which I am developing and practicing giving and taking feedback in the Shu-Ha-Ri mode. This workshop will detail how I did this for each phase of Shu-Ha-Ri both for giving and receiving feedback. You’ll learn how to apply these techniques for yourself. Indhu is an agile coach who is passionate about bringing consistent and sustainable organizational change. I am fascinated by people and the richness of experience they help create. My experience has helped me shape who I am today, and I am known for creating a positive influence on people who I work with. I am an avid learner and curious to learn how various parts of any organization interacts and how it evolves, through a systems thinking lens. This session will discuss how mindfulness is the secret ingredient that enables the agile mindset. Mindful agile is the perfect combination of the agile mindset with mindfulness that enables teams and organisations to build an agile culture that truly embodies the agile values and principles. It allows teams to work together with greater cooperation to truly collaborate, overcome difficulties, share ideas, and challenge each other without falling into chaos and conflict. Through mindfulness, teams communicate more effectively, think more clearly and increase creativity that drive innovation. Kathy has a background in software development who has worked with numerous well known companies. She helps people understand the agile mindset and the true meaning of what it means to be agile, as well as the practices and techniques used commonly in agile teams. Coupled with mindfulness techniques, she trains people on the qualities needed to be an effective team member and how to use those traits to enable organisations to deliver products and services that provide superior customer satisfaction and business value. Kathy is a dedicated mindfulness practitioner. Mindfulness offers many benefits to both individuals and teams, and she is able to help teams integrate mindfulness practices into their agile processes and solution delivery framework. My other passions include travel, writing and photography (mostly writing about my travels and taking photos of the sites). Just for fun, I study psychology and philosophy, as well as try to find the time to write my first novel. Elise Aplin - Safe to Grow: How to level up your personal reflection and improvement skills. Retrospectives and sprint reviews are mainstays of the agile delivery cycle for good reason. They give teams the tools to reflect on their performance and identify areas for improvement. We readily see the value in these ceremonies, so it’s strange that few teams have comparable practices to focus on opportunities for personal growth and improvement. This workshop will take you through the Safe to Grow framework for creating a culture of feedback and give you the tools to have critical conversations for your success, the success of your team mates and the success of your entire workplace. A variety of ways to structure feedback The first steps for implementing a feedback culture. How to communicate with team mates about areas for improvement in order to address concerns and create personal growth. Elise is a Product Manager who works with organisations and their customers to achieve solutions that solve problems for people. She has a science and commerce background, with a skill-set that includes facilitation, risk and process analysis, plus team coaching. Why do things go wrong? It’s almost always a breakdown in communications between two or more individuals or groups. The IT world in Australia is a melting pot of different nationalities and cultures and the opportunities for miscommunication are high. We have an incredibly rich diversity of age, culture, language, gender and nationality in our industry. Which brings with it both benefits and challenges. We will explore the power distance effect on different communications styles, how diversity impacts interactions and run some mini-workshops to trial some of the collaborative tips and tricks you can take away and start using tomorrow to improve cooperation, collaboration, creativity and innovation from all your team. Exercises you can use with your team to help them understand what it feels like to be in a minority / not be a native English speaker / come from a non-Australian culture. How you and your team can learn to communicate and collaborate better together. Methods to help the more "diverse" members of a team feel more included. Tips and tricks to solicit engagement from all members of a team. Helen started her working life as a mechanical engineer in the UK designing manufacturing production systems. Later, her IT career kicked off as a systems engineering developer. Since then she has held almost every role in the software field. Years developing technology products and growing tech talent in Zimbabwe, Mozambique, Angola and Chile has given her an appreciation for the value of diversity. GM for a ThoughtWorks office for a couple of years and acting CDO for an airline rounds out her recent career. As a ThoughtWorks Principal Consultant, she currently leads organisational transformations and supports execs and other leaders implementing technological and cultural change. She is a self-confessed recreational mathematician and is learning Python in her limited spare time. Pamela’s bio can be seen here. To meet today’s tricky business challenges, requires leaders with increasingly sophisticated skills around inspiring others, managing change, fostering innovation and empowering people and teams to do their best work. If you want to improve agility, you need to first work on how to build trust first. 76% of employees don't completely trust their leaders. Why is this a problem? The number one issue employee’s rank as impacting their work performance is trust in leadership. It’s a mistake to assume people trust you. This blind spot keeps you stuck and vulnerable to trust issues unintentionally sabotaging collaboration. Ignoring the requirement to build strong trust foundations with individuals or groups means extra frustration - reworks, slow decision making and poor knowledge sharing. The key is helping employees more effectively SUCCEeD TOGETHER (TM), in order to improve teamwork, speed to market, reputation, and ultimately profits. Reduce people gridlock and you improve organisational agility. Technical experts are proficient in how to do their job, but learning how to get other people involved and performing at their best is another skill set altogether. The heart of agile is all about collaboration. But to get people to share, reflect and deliver on ideas, you first need trust. What I loved about 1st conference in 2018 was the enthusiasm for learning and interacting that participants demonstrated. I now have some new interactive activities and insights that I can’t wait to share with such avid learners. Again, these new tools can be added to their leadership toolbox. Know how to gauge where you and your team rate on the four different levels of organisational trust. Learn the 6 essential building blocks of trust and how to harness them. Marie-Claire Ross is the Chief Corporate Catalyst at Trustologie. Marie-Claire helps leaders put the right processes in place to accelerate trust during growth. She undertakes workshops, leadership coaching and consulting to transform existing organisational trust levels into an asset that increases efficiencies across teams, improves productivity and enhances people performance. Her approach is based on working with leaders and seven years of research including 142 interviews with CEOs and executives. Marie-Claire writes a monthly corporate culture column in FM magazine and has been interviewed by BRW and Sky Business News. She is also the author of the highly acclaimed book Transform your Safety Communication. We seem to try to foster a mindset of continuously and relentlessly striving for improvement with mainly one practice: retrospectives. These have been our default and often only continuous improvement tool for years. I certainly used to think that retrospectives were the most important ceremony to drive improvement. However, they are often disjointed. The insights of one retrospective might be lost immediately…until they are rediscovered in a future one. Also, if we need to wait for the end of an iteration to look at improving, then can we really talk about continuous improvement? In this workshop, I want to look beyond retrospectives and explore which other tools and other concepts can be used to achieve a continuous improvement mindset. Aurelien swapped the fjords of Norway and his career as a Software Developer there, for the glittering city of Auckland down under to do what he knows best. He now spends his days as an Agile Coach, empowering teams to push their own limits and deliver products that change the life of their users. When he's not at work, he can be found geeking out in front of a game or exploring the intricacies of cognitive science. Since 2015, we have had more than 80, high quality presenters and facilitators at 1st Conference. High Profile names such as Jurgen Appelo, Alistair Cockburn and Ben Linders, have travelled to Australia for the event. We also draw from an amazing list of talented people from closer to home.